Always impressed to see what folks do with the raw materials. FWIW, it was fun to extract the code and impressive to see how it was encoded. 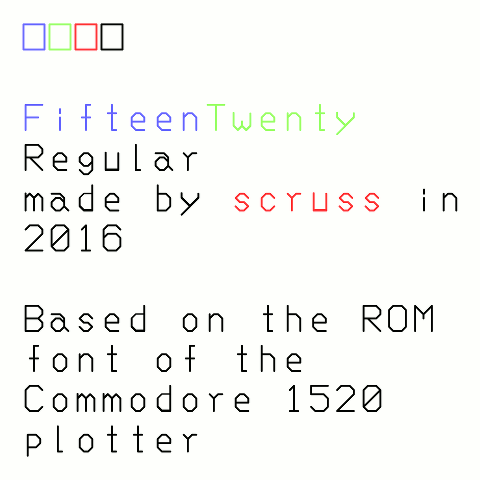 Many thanks for providing this font! One small nitpick on your otherwise excellent post: Commodore 8-bit computers used PETSCII, which is neither a subset nor a superset of ASCII. 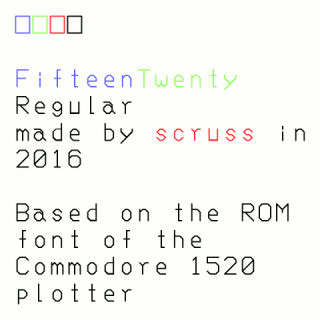 I knew about PETSCII, but the 1520 didn’t contain a full implementation. For my purposes, it only provides a subset of ASCII.